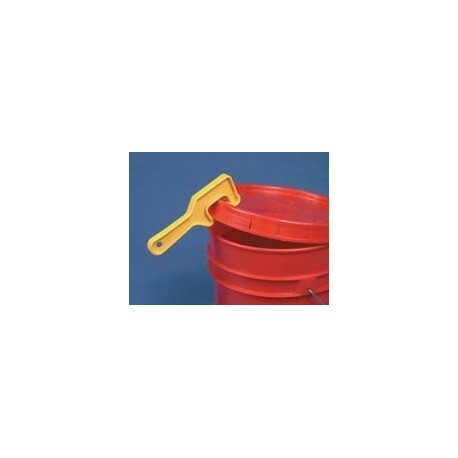 he PLASTIC PAIL LID OPENER removes lids from plastic pails and buckets. 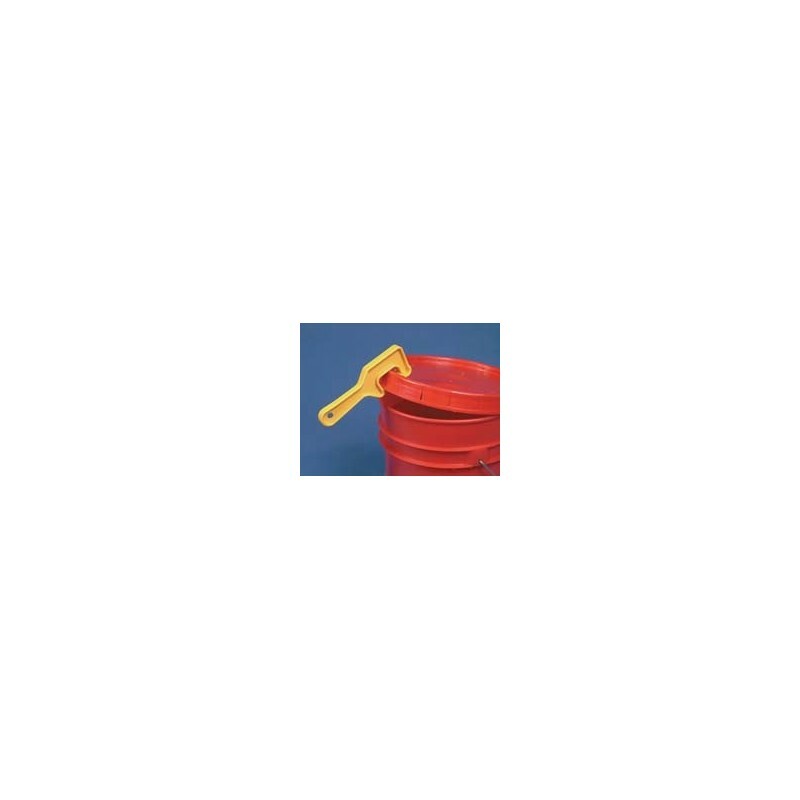 Works quickly and effectively without cutting or distorting container. Measures 8"L x 1-1/4"W x 2-3/4"H. NOTE: Previous white color no longer available. This item is now yellow.